Public budget and spending data can then in turn be combined with the data provided by in DIGIWHIST: the largest database for public procurement data in Europe. DIGIWHIST provides portals in 35 jurisdictions across all EU-Member States for EU tender data. On opentender.eu journalists and researchers can access procurement data to have a closer look at projects and transactions. Using red-flag tools, they can find suspicious patterns and gain insights into the context, the rules and regulations and potential misuse of procurement procedures. This allows them to find leads on how public money is being spent and uncover potential misuse of public funds. 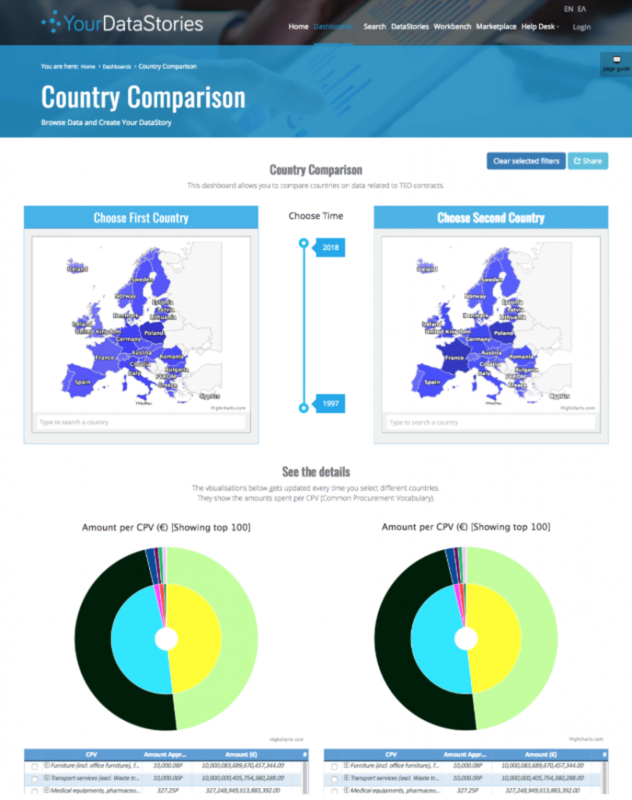 With the insights and data from OpenBudgets.eu and DIGIWHIST, the data can be used for storytelling with the tools of Your Data Stories. 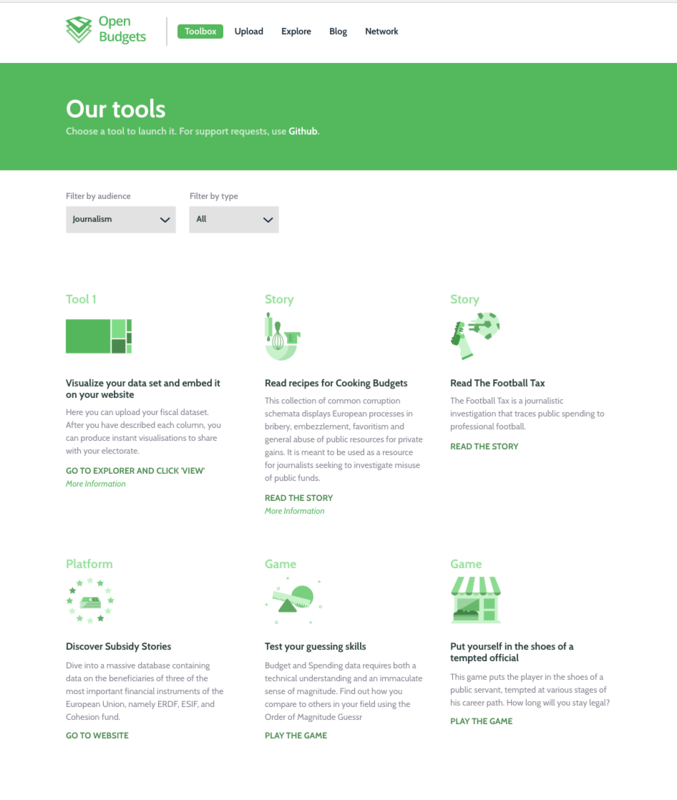 Your Data Stories allows journalists and data experts to interconnect, search, analyse, explore and understand available data, in order to extract insights, facts and material to support and shape their data stories. The YDS platform allows users to browse through and analyse datasets from various sources, which have been already aligned, interlinked and unified under a common vocabulary. The simple visual approach of YDS makes it possible for journalists and less skilled data researchers to delve into the data from any possible aspect and perspective finding new angles. The all-in-one workflow lets users go straight from finding the data to publishing their story.